Want to buy a new smartphone, especially for WhatsApp and social media, but do not want to spend a lot? Here are the best smartphones under $100. The advice to buy smartphones for $100 is what many users ask us every day. 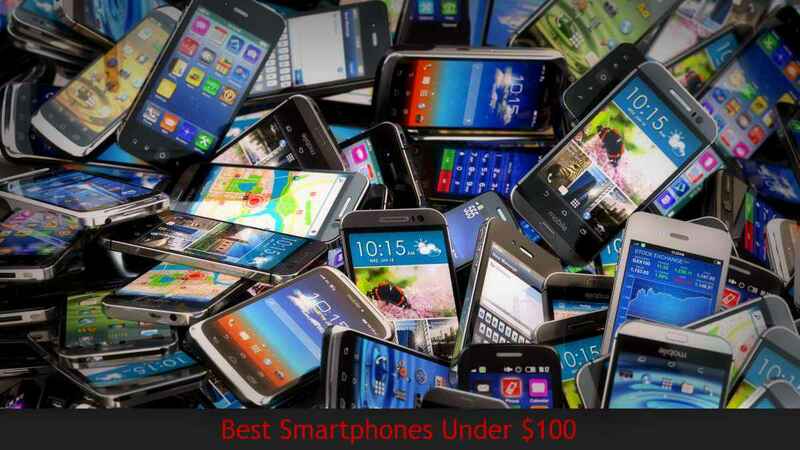 It is not easy to choose them, especially in this price range, but the cell phone listed below are carefully chosen and represent the best smartphones under $100 at the moment. Before leaving for our selection, however, it is good to have a clear idea of what this device can offer and what to expect. Best Smartphones under $100: What can they Offer? Of course for a smaller amount you cannot expect to have a smartphone with an excellent camera, a lot of RAM or internal storage, super powerful processor, bright display and much more. We must compromise. However, there are excellent compromises and savings are guaranteed, especially if purchased from online stores such as Amazon. Display: depends a lot on your hand and needs. There are devices with 5-inch screens that are much more manageable than those for over 5″, however, smartphones with larger displays often have even a larger battery. Usually, the technology offered is that IPS LCD and can offer a decent visual output, although some models could give you some problems under the sunlight and have a color mismatch. We will then choose only $100 smartphones with at least the brightness sensor, useful for automatically changing the light required for the display to be read correctly. Battery: you can do big business even in this price range. The battery, whose capacity is expressed in mAh (milliampere), is usually larger on smartphones with more generous dimensions. However, not always a larger battery is equivalent to greater juice: we must also consider how energized the processor and the display. But we will take care of this, showing you the best smartphones under $100 with an excellent battery for what the market offers in this sector. Processor and RAM: having more RAM means having the ability to run multiple applications in the background without the device slowing down dramatically, the processor is instead the heart of a smartphone and usually more powerful (the power is expressed in Hz) plus the device is speed in carrying out operations. Very powerful processors, however, sometimes consume even more battery. Camera: do not expect miracles (apart from some devices that are an exception) because generally, the quality is acceptable and discreet. Often the main one also offers decent shots while the front, for selfies, leaves something to be desired. Internal storage and MicroSD: many believe that buying a smartphone with little internal storage is not a problem because they can transfer everything to microSD. It is not true: the apps remain (especially the main ones) installed on the internal storage and are not transferable. On the microSD, you must and can only transfer images, videos, music, documents and other files. Dual SIM and 4G: fortunately in this price range we find few best smartphones under $100 that can also offer 4G and support Dual SIM functionality, even for both cards. Equipped with a large 6.0-inch display and the Blu Advance A6 is particularly suitable for those looking for a cheap smartphone. Equipped with an 8MP rear and 5MP front camera for selfie with LED flash and 8GB internal expandable storage make it even more attractive. Nokia is back with a bang and Android Nougat on board, not Windows Phone anymore. The Nokia 2 is a smartphone designed for those who have no big claims, ideal for a parent or secondary smartphone. It features a 5″ Gorilla Glass display, 4100mAh battery, 8MP rear and 5MP front camera for selfie. The Blu R1 HD is a smartphone that struck us especially for its 4G LTE network and 2GB of RAM, but bad side runs Android 6.0 Marshmallow will be upgradable to Nougat. Surely it is one of the affairs of the moment in this price range and is available both in the 8GB storage with 1GB RAM and 16GB storage with 2GB of RAM. Surely the best in the price range with $50 discount now it can be availed at $99.99. A great device with a 13MP rear camera, 2GB of RAM, 16GB of internal storage, dual-SIM and even 4G LTE connectivity. It is Android Go edition device based on Android Oreo and featuring a 5.3″ display with an 18:9 aspect ratio and 8MP rear and 5MP front camera with LED flash. The handset also has a rear fingerprint sensor, 2460mAh battery, and packs a 1GB of RAM. The 4th generation device from Motorola in the low-end market has received positive acclaim and is a suitable device for those who do not have any pretensions, but at the same time do not want to have problems during daily use (especially with social-media apps). Still a Blu in this ranking and it is slightly overpriced for the $100 segment, but the Blu R2 Plus has its strong point in the camera department. It has a 13MP rear and front camera with dual-tone LED flash, so it definitely attracts the selfie lovers. It also packs 3000mAh battery, 3GB of RAM, 32GB of expandable storage up to 64GB and powered by an Octa-core processor.